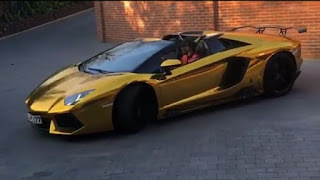 Pierre-Emerick Aubameyang has the need to speed not just on the pitch but also off it which is why he possesses a golden Lamborghini Aventador. 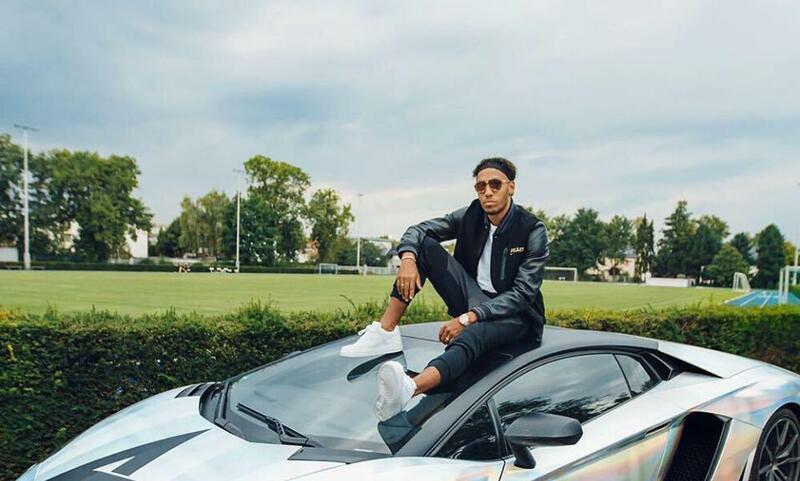 The Arsenal top goalscorer this season with 18 goals in all competitions so far is known to be a car freak. A Ferrari, Range Rover Sport Mansor, Porsche Panamera Turbo Techart and an Aston Martin D89 Volante 2 are other toys he has got in his collection which keeps expanding. You should stop wondering where he gets so much money to acquire these machines from if you are because his wage of £180 000-a-week is enough to provide the needed finances for their purchase. Recently, the Gabonese international posted on Instagram a picture of himself in his Lamborghini, the same one he wrapped in chrome gold towards the end of 2018. Aubameyang's Lambo valued at £270,000 was the vehicle he used in violating traffic regulations last September when he was moving at 99mph on the M1. The 29-year-old appeared in court with his lawyer Robert Morris and was later fined £1250. Luckily for him, he escaped driving ban.